« The Secret to 10 to 1 Return on Your Marketing Investment: Think it Through! Over the years, one of the biggest principles Hobbs/Herder has taught real estate agents is the concept of Niche Marketing. It has proven to be one of the toughest concepts to convey and get buy in from agents. Time and time again, the agents who embrace this and implement it “all in” have become some of our biggest success stories. However, so many agents “sort of” understand niche marketing, but they cannot get themselves to fully commit and they still try to be everything to everybody. It may sound like a contradictory concept, but narrowing your marketing focus in order to expand your business is a strategy that has proven successful throughout the business world. In the early days of cable television, ESPN was an incredibly bold niche branding concept. An entire channel devoted solely to sports coverage? Detractors said it would never succeed. Well, it did. The idea worked extremely well. Now, ESPN has its own channels targeting even more specific niche markets and there’s a specialized channel for just about any sport or recreational activity you can think of (golf, tennis, football, fishing, etc.). Beyond just sports, most successful cable/satellite television networks are geared toward specific audiences and aren’t concerned with alienating people who aren’t interested in their particular shows. The result? More loyal viewers who value the specialized content of the programming and more support from advertisers who are targeting the exact same types of people. 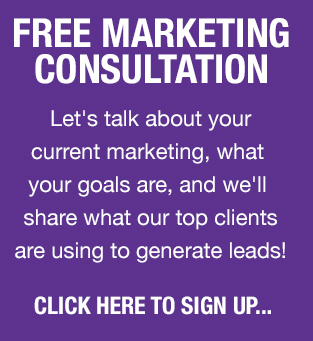 So why aren’t you employing the same niche marketing strategies in your real estate career? Most real estate agents are scared to “limit” their market reach. This results in a shotgun approach. You try to be everything to everybody, and unfortunately, the end result is that you can be seen as nothing to nobody. If your marketing isn’t memorable or emotionally engaging to the reader, it will go unnoticed. However, if it speaks to their specific needs and tastes, it can be incredibly powerful. Some of today’s most successful agents are utilizing a targeted niche market approach to great success. Stephen Sutherland in Newport Beach, CA was already targeting luxury real estate in the coastal Orange County market and doing well, but he wanted to take it to the next level. 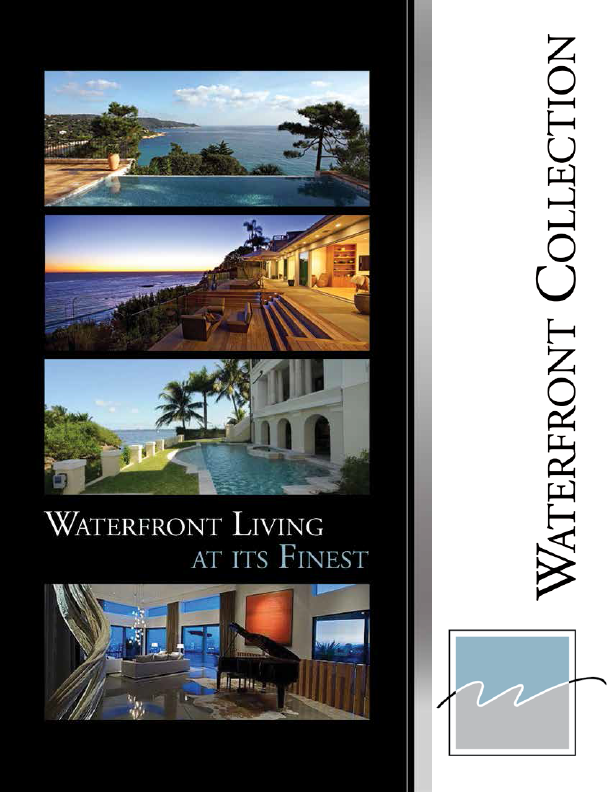 We worked with Stephen to repackage his entire campaign (Waterfront Collection) geared only toward homes directly on the waterfront. If it’s across the street from the waterfront, he won’t represent the listing. It takes a great deal of discipline and commitment to nurture a niche market as specialized as this, but the results are already speaking for themselves. We’ve worked with agents throughout North America with all sorts of different niche focuses. We’ve had Condo Kings and Condo Queens. There are those that focus only on downtown/urban communities. Equestrian properties, golf course homes, homes with swimming pools, farmland—the possibilities are endless with the types of homes you can target. Don’t stop there, though, because your niche can also be based on people and demographics. Whether it’s a career that relates to your personal or professional background (attorneys, doctors/nurses, engineers, etc.) or someone who shares the same interests as you, there are so many ways to identify a unique niche market. A senior focus is one we see often, and we’ve also worked with agents who specialize in divorcees or only first-time home buyers. Sometimes it’s as simple as making your marketing message very family oriented when working your local neighborhood where most homeowners are families like yours. The point is, there a lot of different ways you can choose your niche. The most important thing to keep in mind is that the best target markets are the ones that you can relate to most. If you have no connection to the legal field, you probably won’t want to target lawyers. Find something that makes the most sense for you. Dan O’Brien, a Virginia agent and client of Hobbs/Herder, successfully ran a niche market targeting all the people with the surname “O’Brien.” He also had great success targeting all parents who home-school their children, just as he and his wife did. Of course, you should also study the market(s) carefully. Look at turnover rates within the niche you are considering. 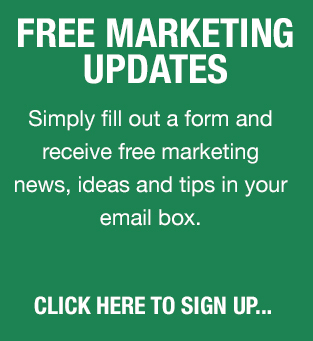 Make sure you’ll be able to get a mailing list together to target this group and obviously, make sure there’s enough people/homes in the market to generate the amount of business you need to be successful. In some cases, you might have multiple “sub-niches” to enhance your primary campaign. Set up mailing plans and advertisements specifically geared toward these groups in addition to your general farming plan. Reynolds Bickerstaff is in Columbus, GA and drives the majority of his marketing toward historic homes in his area. 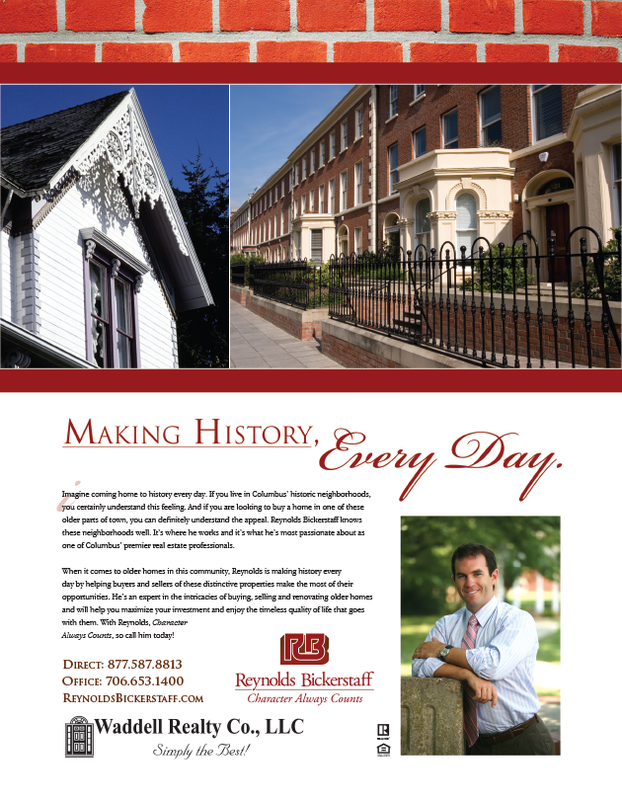 He’s passionate about these older properties and personally has very deep roots in his community, so it’s a natural target market for him to go after. 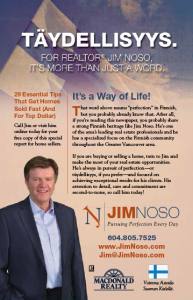 Jim Noso in Vancouver, BC comes from a Finnish heritage and his father was one of the country’s most respected and well-known guitar makers. Jim uses this to his advantage by including the flag of Finland on all his marketing and even running focused ads in a Finnish newspaper that’s distributed throughout the Greater Vancouver area. Whatever niche you choose, we strongly feel that narrowing your focus can greatly impact your business. Instead of trying to be everything to everyone, be the best agent appealing to a specific group of people or a particular style of homes with a targeted message and tailored service approach. The challenge is that niche marketing feels counter-intuitive to most agents. The idea of downsizing your pool of prospects to build your business feels completely foreign. However, it is a concept that has proven effective time and time again.